Do you want the winning edge over your competitors? How often have you got off your horse, stretched your lower back and wished you hadn’t done quite so much and reached for pain relief? At livepilates we teach you how to use your core stability, strengthening the muscles around the lower back which in turn gives your back more stability and therefore fewer injuries. In our daily lives we carry a lot of stress in our neck and shoulders causing muscle imbalances which in turn give us tiredness, headaches and pain. These muscle imbalances impact on our riding. At livepilates we will show you specific exercises to overcome these imbalances and therefore improve your riding technique. At livepilates we teach you how to use your “Powerhouse”. The “Powerhouse” is a term for your natural corset of strength – your tummy muscles that wrap around the waist like a corset which help to centre the body and give you strength from the inside out. This in turn helps you to move your arms and legs independently and give you an independent seat. We must remember that we are a mirror of our horse. If our weight is unevenly distributed or if you are predominantly stronger on one side then this will reflect itself in your horse’s paces as your horse tries to counterbalance you. 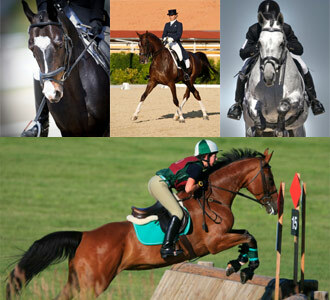 These imbalances will obviously then show in your dressage tests, jumping and cross county or how your horse hacks out. At livepilates we offer small group sessions to like minded equestrians, including men, women and teenagers alike to specifically improve their posture and strengthen stabilising muscles. We spend hours training our horses in the school, travelling to clinics, then send them away for specific training only for them to come home to an unconditioned rider with his/her imbalances. It is these imbalances we must address to have that winning edge. Unfortunately 99% of the time we must look at our own imbalances to improve our riding and therefore improve our scores in the competitive arena or just ride our horses better.